Cited for possessing an Alcoholic Beverage? Wondering what the penalties are for such a benign violation? We are Minor in Possession Defense Attorneys. Our attorneys successfully Dismiss Minor in Possession Charges, Reduce MIP Charges to Lesser Offenses and argue for Acquittal of MIP Charges in all California Courthouses. If you or a loved one received a ticket for Minor In Possession of Alcohol call our office. We offer superior representation for reasonable attorneys fees. Call us anytime at 877-985-0002. California Business & Professions Code § 25662 makes it a misdemeanor offense for a minor (defined as a person under 21 years of age) to have an Alcoholic Beverage in his/her possession in a public place. Alcoholic beverage includes beer, wine and spirits. It’s the simple act of Holding or Possessing the Alcoholic Beverage the law prohibits. It’s not necessary that the minor be drinking or that they know it’s alcohol. 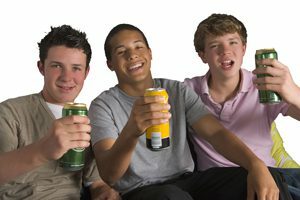 If you’re under 21, holding a can of beer and are in a public place you can be cited for possessing alcohol. One overlooked penalty is that a conviction (plea or found guilty at trial) results in a license suspension of 1 year. The judge has no discretion and must impose the suspension. In some exceptional cases, even if the judge suspends your license, we can petition for a restricted license for driving to and from school or work. the Possession was on a Road, Public Place or Area Open to the Public. The government will use one of 3 recognized Theories of Possession in order to try and prove the Possession Element. If you have been charged with Minor-In-Possession, contact us by calling 877-985-0002 or emailing us at info@caticketking.com. Talk to one of our experienced Minor in Possession Defense Attorneys today and take back the upper hand.